We asked students to bring in their favorite stuffed bear (or other animal) to join us at our indoor picnic. We had so much fun. We sent home individual packs of gummy bears with the students with the following message attached. 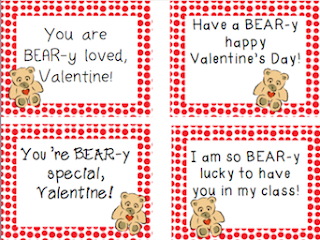 Download your FREE Teddy Bear Valentines HERE! To make the entire day special, we used many of my Valentine's Day themed worksheets for skills and math. I even sent some home in their weekly homework packet just to add a little fun to the routine. 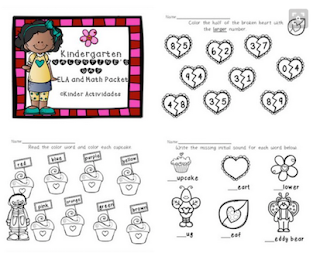 Check out my Valentine's Packet HERE...12 pages of cute themed worksheets! Follow me on TPT for more freebies and activities!